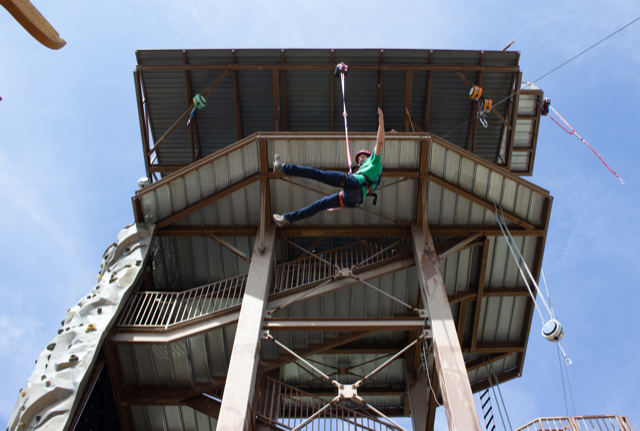 Imagine stepping off a platform and experiencing a taste of true, unrestricted free fall before being softly caught and smoothly lowered to the ground. 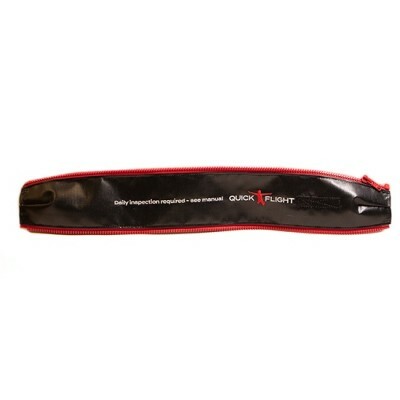 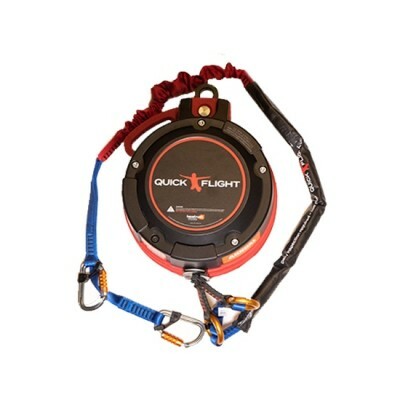 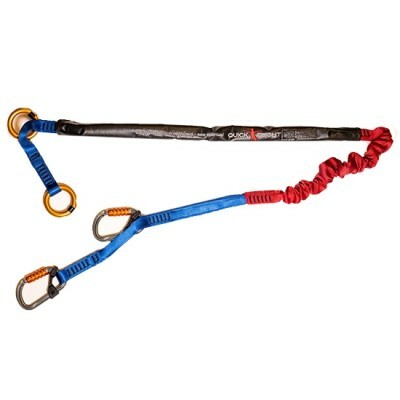 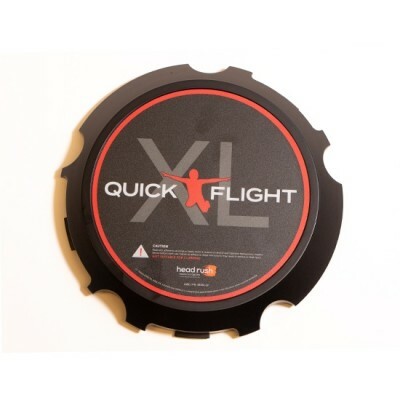 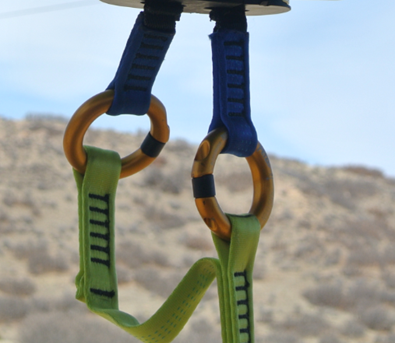 A successor to the QUICKjump, the QuickFlight Free Fall Device creates a fun and exciting free fall experience for any age, now featuring a dual line system for increased rider comfort and operator peace of mind. 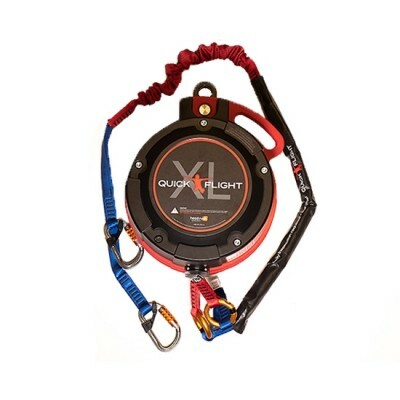 Whether a building a standalone, eye-catching thrill or an unforgettable adventure course exit, QuickFlight is an easy install on your existing tower, bridge, or ledge. 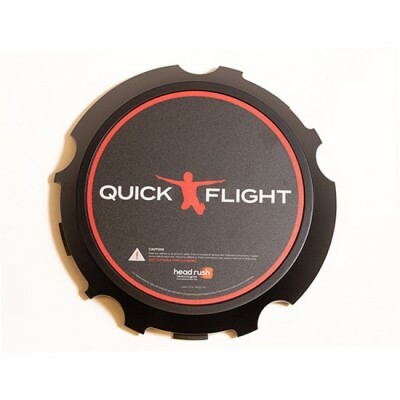 QuickFlight brings free fall to all! 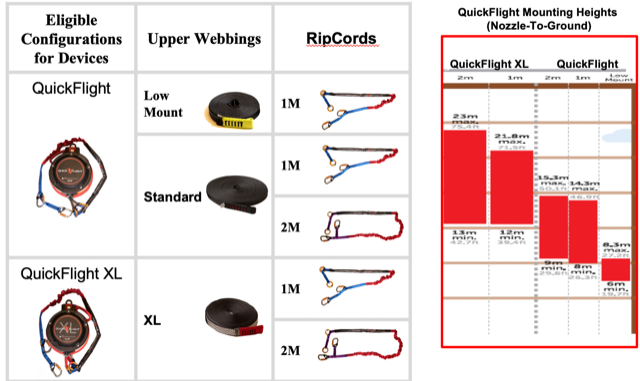 QuickFlight’s redundant, dual line system and custom RipCords with Overload Protection Assemblies (OPAs) serve to maximize rider comfort and operator peace of mind. 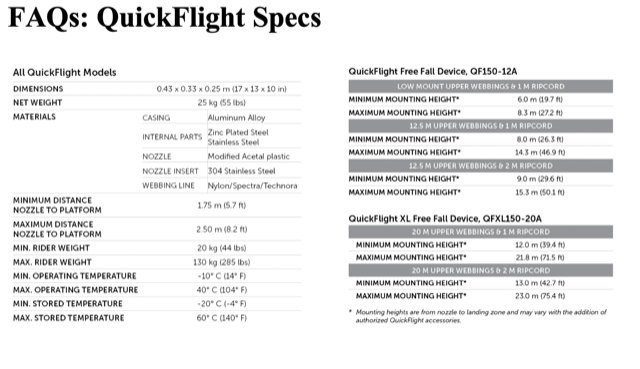 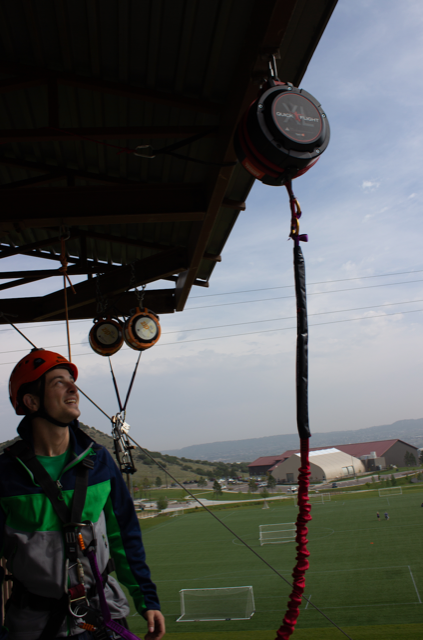 Mount the QuickFlight indoors or out with options for a low mount spanning all the way up to 23 m (75 ft). 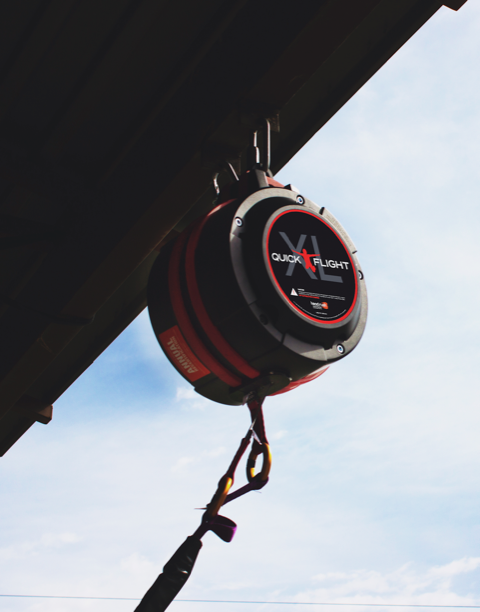 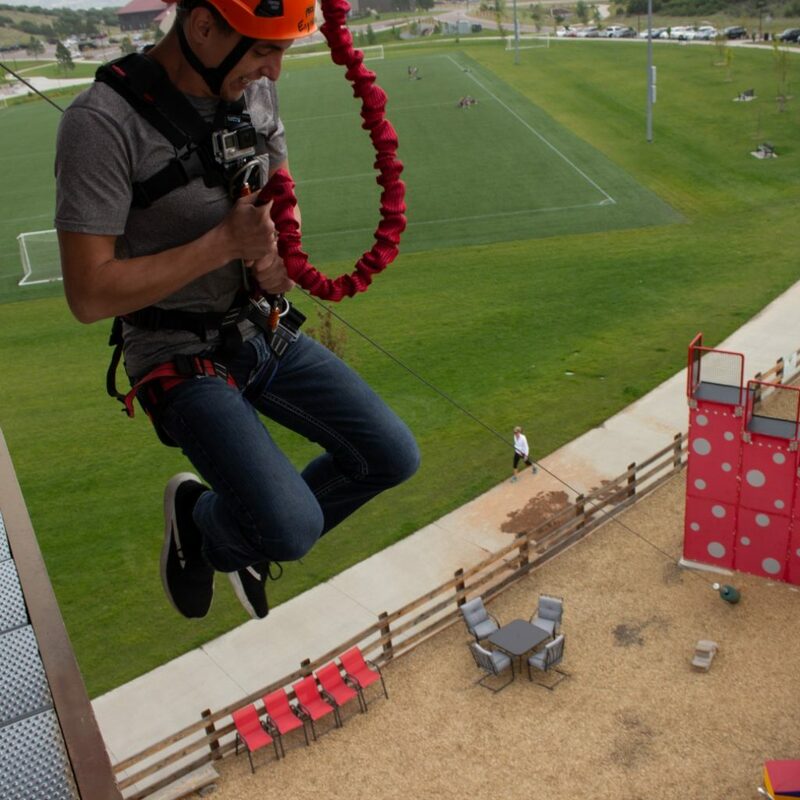 A wide range of weights and mounting options allow for a custom free fall experience that is compatible with the height of your structures and comfort levels of your clientele. 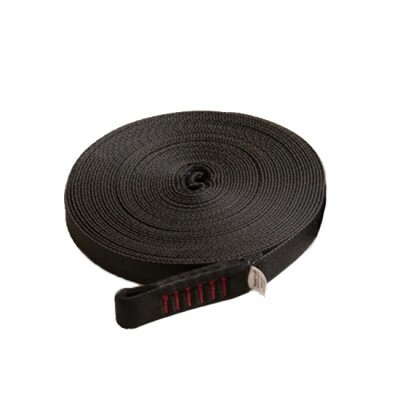 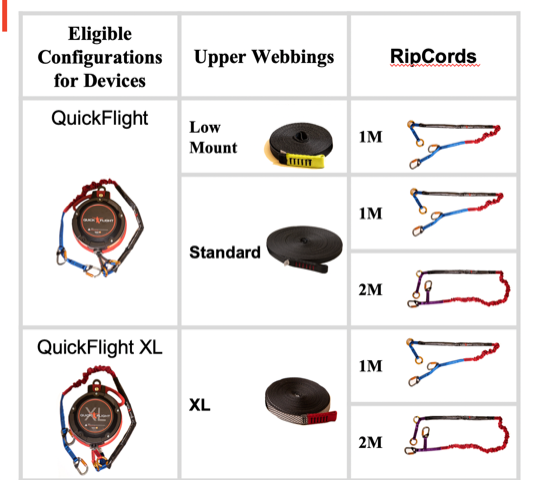 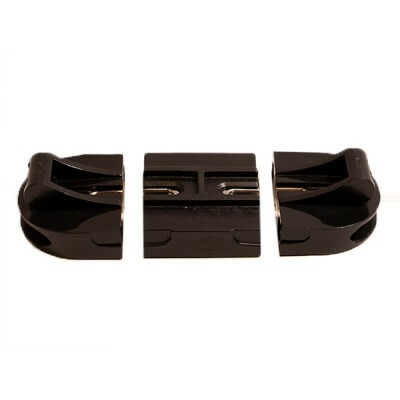 Simple, easy to follow inspection process keeps operations simple and independently replaceable webbings, ripcords, and connectors keep down time and costs at a minimum.